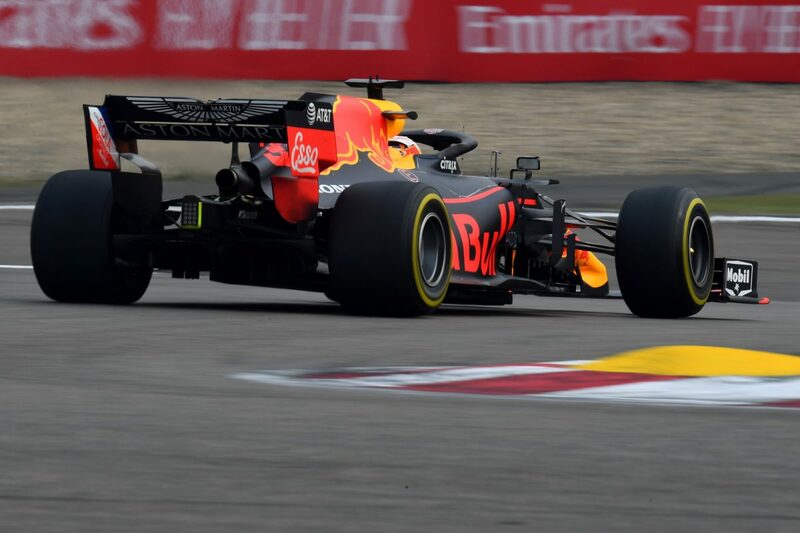 Red Bull Team Principal Christian Horner says their qualifying pace is still to come from their Honda power unit at the Chinese Grand Prix. Max Verstappen finished the afternoon in an impressive third on the timesheets, two tenths off Mercedes’ pace-setter Valtteri Bottas and Ferrari’s Sebastian Vettel. However, a minor mistake affected the Dutchman’s final flying lap, leaving Horner to believe that Verstappen would have been right in the mix with the Finn and the German. “Without that wobble from Max into the final corner, we would have been capable of doing the time that Bottas and Vettel did,” claimed Horner. Pierre Gasly’s side of the garage was much busier during the morning session when the team trialled a new rear wing on the Frenchman’s RB15. He briefly took to the track with aerodynamic rakes attached, usually seen in testing, before posting the seventh fastest time of the morning behind Renault’s Daniel Ricciardo. However, he struggled to escape the midfield in Free Practice 2, ending his day 10th on the timesheets and over a second behind Bottas’ time. Despite the lowly finish, Horner believes his new driver will quickly recover after a tough result at the Bahrain Grand Prix two weeks ago which he feels put a dent in the 23-year-old’s confidence. “In the first session, he was very much looking at some first set-up items, different test items, and they ran different tyre compounds as well,” explained Horner. “In the second session, they started to converge his fastest lap. He didn’t put all his best sectors together, but the long runs looked more encouraging. Horner’s focus now shifts to Saturday afternoon, as he looks forward to getting in the mix with the race winning duo of Mercedes, and Ferrari. He expects the performance of Red Bull’s new Honda power units to increase when the cars hit the track to determine the grid for Sunday’s 1000th Formula 1 grand prix. “We will make a step (in qualifying),” predicted Horner. “I don’t know whether it is as big as the other teams, but it’s certainly coming. “Definitely, we have more performance in qualifying than we do in the race. So that’s good to see, and as different engines are introduced this year, that will only increase. Red Bull Racing currently sits third in the constructors’ championship, 17 points behind Ferrari in second. Practice 3 commences at 1300 AEST tomorrow with Qualifying for the 1000th Grand Prix from 1600 AEST.